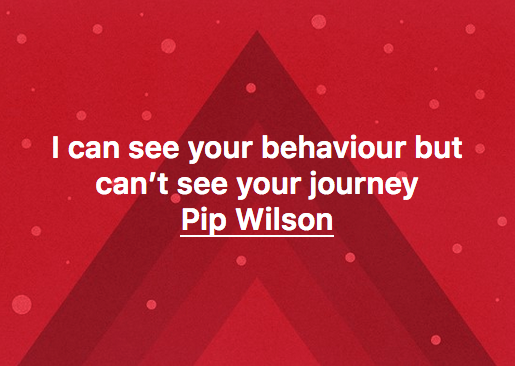 Pip Wilson bhp: I can see your behaviour but who are you? I call this Level Five communication which is a skill to develop ONLY if we start ....... we need to decide before it happens. It includes sharing vulnerabilities as well as strengths. "What are the most significant events / crossroads / decisions in the whole of your life"? "Same question - about NOW - the three most significant things in your life now"? BECOMING more real with self & others. Beautiful Imperfection .............. let us grow together eh?